All 30 students are from Hawaii or enrolled at a University of Hawaii campus, and nearly half are of native Hawaiian ancestry. The students receive credit from University of Hawaii, Hilo, and begin on June 13, 2016 with a preparatory course taught by Akamai instructors. They will then complete a seven-week project at various observatories and facilities on Hawaii Island and Maui. Since launching in 2002, nearly 330 college students have participated in the Akamai program and at least 140 alumni are now working in science and technology jobs, with nearly two-thirds of them working in Hawaii contributing to the local STEM workforce. Akamai accepts college students from Hawaii (80% graduated from a Hawaii high school or were born in Hawaii), and a key objective is to increase the participation of underrepresented and underserved populations in STEM. So far, the Akamai Workforce Initiative alumni demographics include 36% women, 25% Native Hawaiian, and 47% underrepresented minorities. 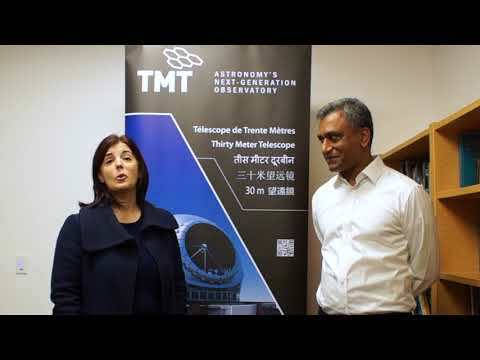 The Thirty Meter Telescope International Observatory has become Akamai’s cornerstone funder, and continues as the program’s largest funding source in 2016. This year, funding is also provided by the Air Force Office of Scientific Research, Hawaii STEM Learning Partnership at Hawaii Community Foundation (with support from nine funders, including the THINK Fund and the Maunakea Fund), Daniel K. Inouye Solar Telescope, National Solar Observatory, and the National Science Foundation. Akamai is managed by the Institute for Scientist & Engineer Educators at University of California, Santa Cruz.